Gabriel and Orson will have to fight for their lives as they navigate around all the magical roadblocks to force Yareth’s hand. They won’t give up until Sheila is safe. Gabriel’s girlfriend Sheila is a witch that has been sent on errands for her coven that have increasingly bothered her. Now it’s been two weeks since Gabriel and Orson, Sheila’s bull dog familiar, have heard from her. It’s especially worrisome sine Orson cannot sense Sheila any more. So Gabriel and Orson go on a road trip to Florida, the last place they have heard from Sheila. But it’s not going to be easy to find her and when there is a plot to dognap Orson things get really serious. Gabriel is a regular guy that cares about Sheila and plans on saving her from whatever trouble has found her. I loved Orson, he is so snarky and I can see any dog acting the same way. I’m a total sucker for animals. But the part I really liked was how Sheila got herself out of trouble, you don’t usually see that in stories. This is a cute cozy mystery with lots of Orson snark and a wonderful plot. I loved each character and how they stood out on their own. 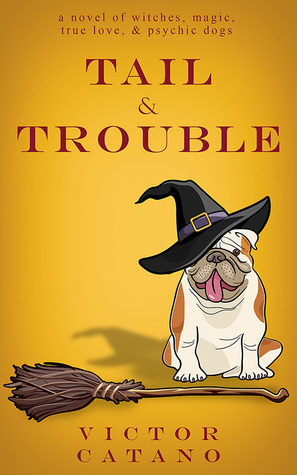 If you like paranormal cozy mysteries make sure to check out Tail & Trouble. As for me, I can’t wait to read other books by Victor Catano. To purchase Tail & Trouble make sure to visit Amazon, Barnes and Noble, and Goodreads. 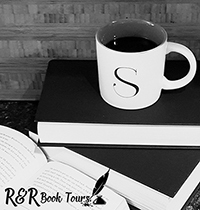 I received Tail & Trouble for free from Sage’s Blog Tours in exchange for an honest review. Thanks for the review! I’m so happy you enjoyed it! Thanks for the great review! I’m so happy you enjoyed it.